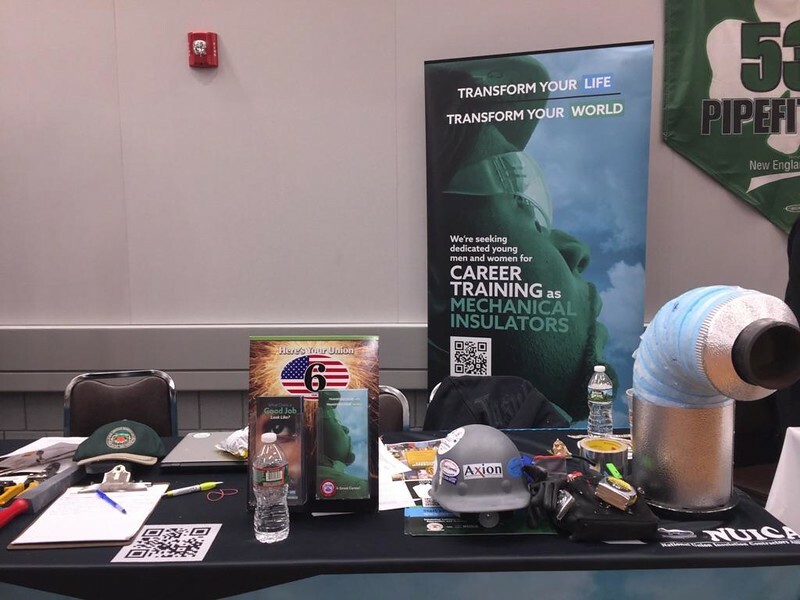 Local 6, chartered in Boston, Mass., attended the second successful Massachusetts Girls in Trades Conference and Career Fair in March. The event was hosted by Massachusetts Girls in Trades Advisory Board and was held at IBEW Local 103. The program is to introduce high school girls, as well as their Career Counselors and Educators, to the trades. This event was attended by more than 350 students and over 50 educators from 22 area high schools. One of the benefits Rothwell finds from getting in front of counselors and being able to explain mechanical insulation is the ability to engage with them and create a relationship. Rothwell anticipates scheduling several presentations and tours from this career fair. It is through outreach, career fairs, and community engagement that Locals across North America continue grow their membership.